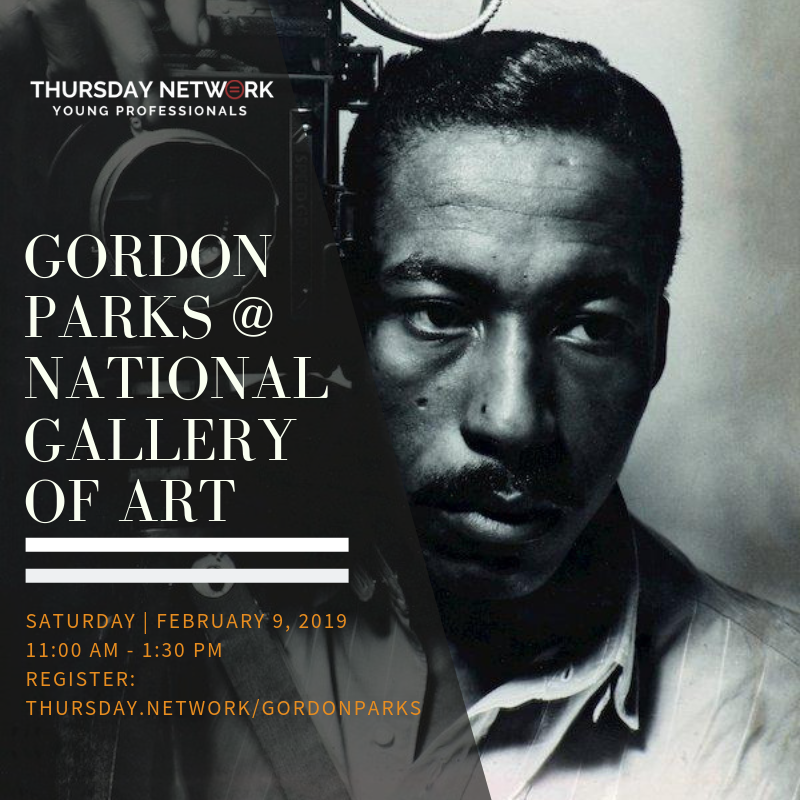 Thursday Network members and non-members will visit the National Gallery of Art to view artworks by Gordon Parks. You will have the opportunity to learn more about the self-taught photographer and filmmaker who became the first African American photographer to work for Vogue and Life magazines. TN members will have the opportunity to participate in a guided tour and have lunch.